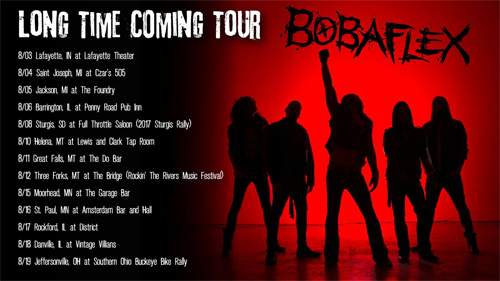 BOBAFLEX Announce Their "Long Time Coming Tour"
BOBAFLEX are hitting the road in August as they begin to preview songs from their 8th album Eloquent Demons which will be released Friday, August 25th. "Hey You" (PINK FLOYD cover) was the first single released in the Spring. The video can also be viewed on KNAC.COM HERE. The next single going to radio on August 1st is "Long Time Coming" with a music video to follow. Rounding out the bill will be Milwaukee's THE COMPLICATION.